This is so exciting! Ensogo, the online flash sales leader, officially announced the launch of their newly developed mobile app for Android. 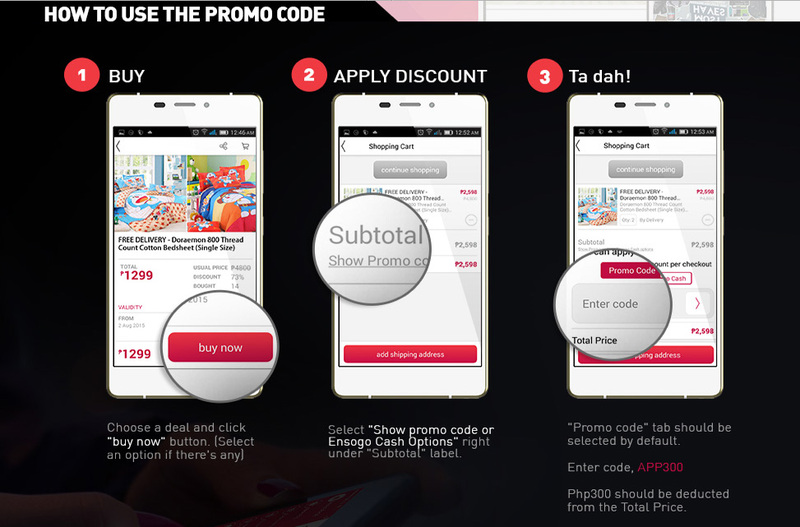 Users can now have quick access to the best offers in the market for a more convenient mobile shopping experience. You can download the app from Google Play for FREE! Simply search for "ENSOGO", select the Ensogo app from the search results and install. Once installed, you have to choose from what country you are located. As part of the launch, users who downloaded the app gets Php 300 off with a minimum purchase of Php 1,200 by simply using the promo code- APP300. This promo code is available only on Ensogo Android App. Valid for one time use only within 7 days. 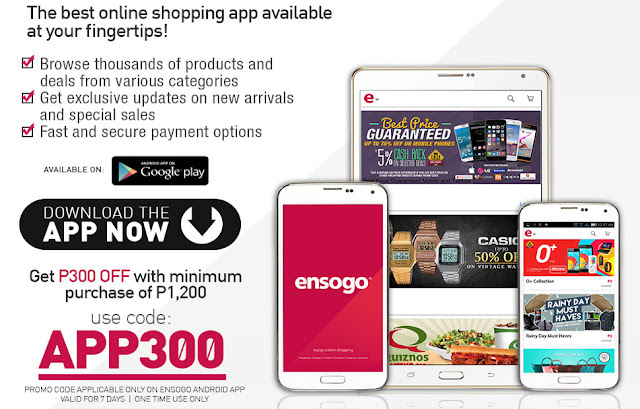 Using the Ensogo's Android App Promo Code is as easy as 1-2-3! After entering the code, Php 300 should be deducted from the Total Price. The promo code is available for all brands and for nationwide delivery. But wait... there's more! To further bolster its growth and its leadership in flash sales in Southeast Asia, Ensogo Philippines now offers free nationwide delivery. What a nice extra treat! 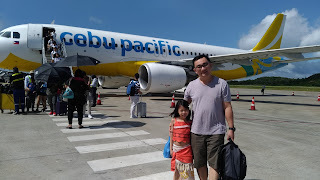 Visit Ensogo for deals and discounts! Follow Ensogo on Facebook, Twitter and Instagram (@ensogoph).